MVJH Junior Math Olympic Winners at MHS! 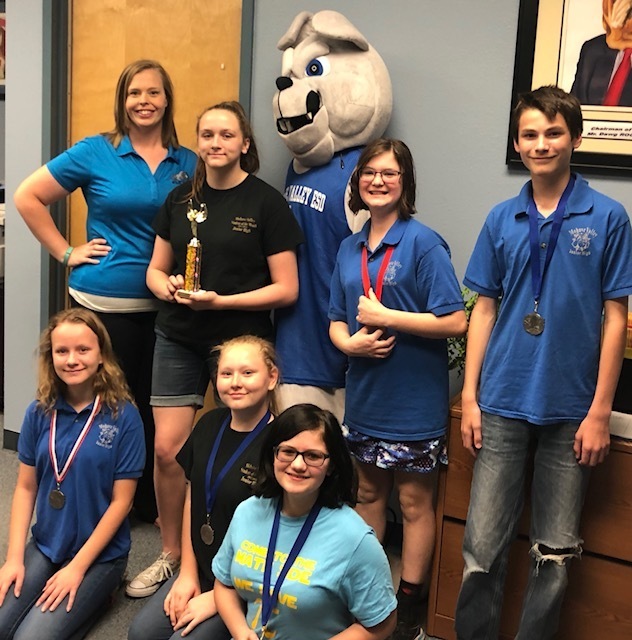 For the second time in as many months, Mohave Valley Junior High excelled in academic competition. Congratulations to students Destiny, Alice, Shelby, Samantha, Devin, and Avalon for representing our student body. Your first place trophy will be displayed in our front office until the end of the year. We are so proud of you!